During the week ending June 27, interest rates were pretty steady but applications fell due to supply limitations. While interest rates and home prices are being monitored closely, their impact appears minor in comparison to supply challenges. In fact, some economists now believe the peak is near (or already here), because their near-term outlooks do not correct the demand-supply imbalance. Here are the big stories in the mortgage market for the week ending June 27. The 30-year fixed rate average fell to 4.57% ― down from 4.62% a week ago but up from 3.90% a year ago. Lower rates drove a boost in mortgage applications. 36.8% of all applications were for refinance mortgages. Single-family housing starts were up 18% and total annualized housing starts grew 20% in May compared to the year prior. To meet the market’s current demand, builders will need to produce an incremental 250,000 more homes this year. Housing starts have been below average for the past decade. The market will likely cool off before builders meet the demand, according to Chief Economist of the National Association of Home Builders Robert Dietz. Mortgage application volume was down 4.9% last week compared to the week prior and down 12% year over year, according to the Mortgage Bankers Association. Mortgage rates snuck up from 4.83% to 4.84% for 30-year fixed loans with points decreasing from 0.48 to 0.42. While consumers were confused earlier in the year with regard to tax reform impacts on mortgage interest, home equity applications picked up after the IRS clarified the rules on deductions. “Concerns about rising interest rates and construction costs have been offset by low unemployment and increasing wages,” according to Stuart Miller, Executive Chairman of Lennar. Lennar revenue and profits beat forecast due to strong new housing demand despite rising mortgage rates. Despite rising mortgage rates and home values, the market is staying strong, due in part to mortgage lenders easing standards. Last year, Fannie Mae increased their maximum debt-to-income ratio from 45% to 50% (compared to 43% for most lenders). The share of conventional mortgages with a debt-to-income ratio of greater than 45% increased from 5-7% in early 2012 to 20% in July 2017 and to almost 37% for the period of Q1 2017 through Q1 2018. Through May, existing home inventory has fallen (in comparison to prior year volume) for 36 consecutive months. Due to limited inventory, pending home sales were down in May for the second-consecutive month. “Realtors in most of the country continue to describe their markets as highly competitive and fast moving but, without enough new and existing inventory for sale, activity has essentially stalled,” explained the Lawrence Yun, Chief Economist of the National Association of Realtors (NAR). NAR lowered its home sales forecast to 5.49 million existing home sales in 2018, down from 5.51 million the prior year. Shopper volume is steady in May compared to April, but offers were down 16.7% year over year, according to Redfin data. “Given that we see little reason to expect meaningful relief on the inventory front over coming quarters, we think it reasonable to conclude that we have passed the cyclical peak for existing home sales,” stated Richard Moody, Chief Economist of Regions Financial Corporation. “We project that existing home sales will edge up by around 1% in 2018 to around 5.56 million units, which would be the strongest pace of sales since 2006. We expect that this will be the high-water mark for sales in this cycle,” predicted David Berson, Chief Economist of Nationwide Insurance. 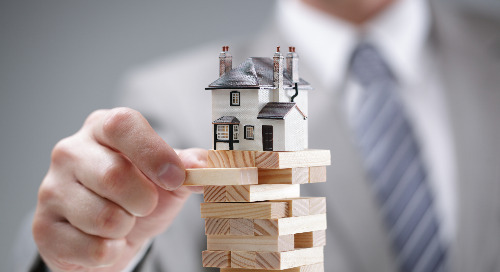 “The most vulnerable homeowners in the next downturn could be people in pricey coastal markets who bought recently and have very little equity in their homes, either because they made small down payments or because they’ve taken it out,” according to reporter Andrea Riquer. Industry professionals agree the supply-demand imbalance is the predominant challenge with the current market but disagree on the imbalances future impact. What do Recent Mortgage Reports Mean? Despite a steady number of people looking at homes, the supply shortage has reduced application volume. This means fewer people are actually purchasing new homes. Current home owners, choosing to stay put due to a combination of factors including supply and interest rates, are turning to home equity loans for home improvements and debt consolidation. While the purchase peak may be around the corner, the refinance market may quickly pick up its slack. What Should Mortgage Marketers Do Next? As we’ve suggested the past few weeks, encourage buyers to bid early and lock in rates early. In this competitive market, in addition to the risk of losing out to higher bidders, each day presents the risk of increased home prices and rates. Lenders should also start driving interest in their refinance products, especially home equity loans. Reach out to borrowers in your current portfolio to understand their current financial situations and home improvement plans. You may have the solution they’ve been searching for. Contact the expert team at Best Rate Referrals to gain insight on how to best tackle current market conditions and win. 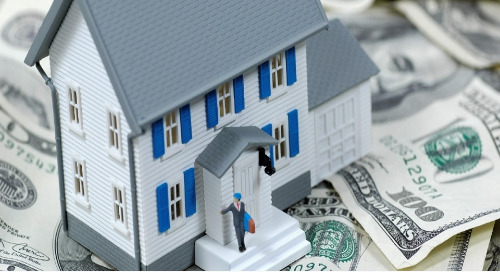 Here are three things to keep in mind when marketing Cash-Out mortgages.